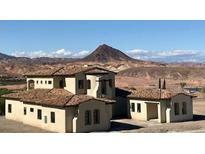 Find Henderson, NV New Homes for sale. View Photos, Maps and MLS Data Now! This home comes with Lennar’s Everything’s Included package that features upgrades like granite countertops with 4" back splash, GE stainless steel kitchen appliances, 42" raised-panel maple cabinetry with finishes and upper crown moulding, Home Automation and much more! 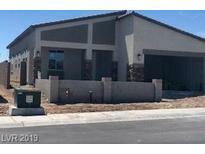 MLS#2089504. 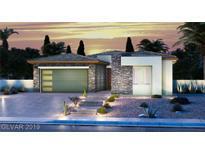 Lennar Sales Corp.
Pictures are of Model as home is under construction with a June completion. MLS#2089623. D R Horton Inc.
Canyons Macdonald Ranch - Entertain Family & Friends on 1 of 3 Terraces. MLS#2088193. Pivot Modern, LLC. 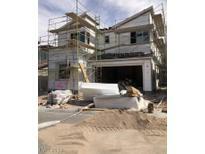 Start your Summer Vacation Now in this perfectly price new home in Cadence!. MLS#2088840. Wardley Real Estate. Macdonald Highlands - Master bedrooms both up and down. 15 seat movie theater, elevator. MLS#2082644. Simply Vegas. All only 25 minutes from the LV strip! MLS#2086355. Congress Realty. This home includes Lennar’s Everything’s Included package that features upgrades like granite countertops, gourmet kitchen appliances, raised-panel cabinetry, home automation and much more! MLS#2085837. Lennar Sales Corp.
RV cleanout and 220 outlet on east side of house. MLS#2083452. Shelter Realty, Inc.
Bosch Stainless Kit Appl Pkg-Upgrd Counters & Surrounds-Prominent Wet Bar-Mezzo 5ft Linear Fire Plc-20 ft Multi-slide Grt Rm Doors at Veranda-Stainless Railings & Oak Steps-Loft Balcony-Upgrd Fixtures-Huge Pivot Front Door-"Lago Vista" residents have access to own private beach. See this! MLS#2082241. Real Estate Consultants of Nv. Gray cabinets, Quartz kitchen countertops, 42" upgraded kitchen cabinets, 16 seer a/c, Wi-Fi thermostat, Stainless Steel Whirlpool appliances including a gas cooktop, double oven, dishwasher, and microwave, brick paver driveway, master bathroom has an enlarged shower with seat with a separate tub, soft water loop, and covered patio. MLS#2084192. 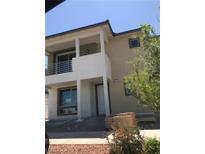 KB Home Nevada Inc.
Includes all furniture-Pool-Built in BBQ and professionally & fully landscaped rear yard. See this! MLS#2082229. Real Estate Consultants of Nv. This homes comes with Lennar's Everything Included package that features upgrades like granite counter tops, GE stainless steel appliances, home automation, and much more! MLS#2083927. Lennar Sales Corp.
Homes at The Courtyards come with Lennar's Everything's Included® package that features upgrades such as granite countertops, gourmet kitchen appliances, raised panel maple cabinetry, future-proof home automation, and much more! MLS#2083923. Lennar Sales Corp.
Macdonald Highlands - Dragon Ridge Country Club Lifestyle available: Golf,Fitness,Tennis & Swim, Clubhouse Bar & Dining. MLS#2082887. Realty ONE Group, Inc.
Don’t wait to call this one “Home”. MLS#2083231. Wardley Real Estate. Calico Ridge - Master bath has barn door, glass tile shower with two shower heads, stand alone tub, his and her walk-in closets. MLS#2082490. Precision Realty.